The system Duette is similar to plise to the sunroof. Duette jalousie is suitable for any windows and glass surfaces. Thanks to a special chamber system Duette will prevent the penetration of heat into the room. The individual chambers can be provided with an inner aluminum layer which isolates very well. In the summer months it stops up to 78% of the heat which would pass into the room. In winter it can stop up to 46% of heat loss and saves you the cost of heating. We offer many different materials and colors. Duette can be controlled manually or mechanically. Duette jalousie system offers combination of two substances, a curtain and obscuring curtain. See our swatches substances Duette here. Duette are tailor-made according to your specifications or to the measurement of our technician. The price of duette depends on the dimensions (width, height), selected materials and the type of operation (chain, handle, motor). Duette can easily overshadow atypical shapes of windows, which other systems can handle hardly, or not at all. 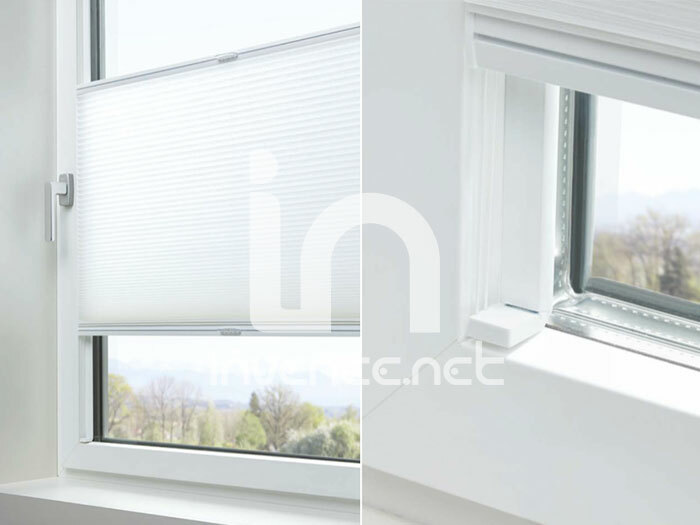 Mention, for example, triangular windows, pentagonal, hexagonal, trapezoid, oblique, semi-circular, circular, etc.Duette are usually mounted directly on the window wing or door, thus allowing full use without pulling up the system as for example in fabric blinds. We offer profiles in 18 different colors at no extra charge. The operation is very simple, mostly we supply plise controlled manually by pulling the handle or motor remote control. Another solution may be a control chain, cord, crank or battery control rod. We offer 180 different designs substances. Swatches of materials Duette can be found here. If for any reason you do not want or can not drill into the glazing bar, we offer a special version of pleated blinds-STICK & CLICK, which enables easy installation directly on the glass with the help of double-sided tape. The system is 100% removable and leave no to your window hole after drilling. We offer 180 different designs substances. 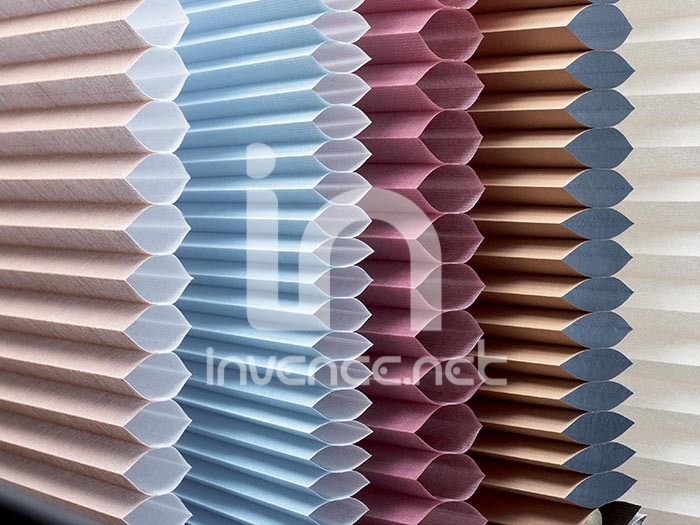 A huge selection of fabrics with different light transmittance, from curtain-like fabric to fully darkening, plise is perfect, variable and mainly functional product suitable for flat, office or winter garden. One substance with high penetration works through the day as curtain and decoration. Substance with low penetration can overshadow or completely obscure the interior. Duette can be left in any position on the window, which can achieve accurate coverage curious glances or street lamps. Of course production is tailored to each window, either according to the specialization of our technicians or according to your specifications. See our substances swatch here. duette are suitable for atypical windows - polygons, segments of circles, etc.